Book Your Place At Osher Günsberg's Book Launch & Brunch This Weekend!!! 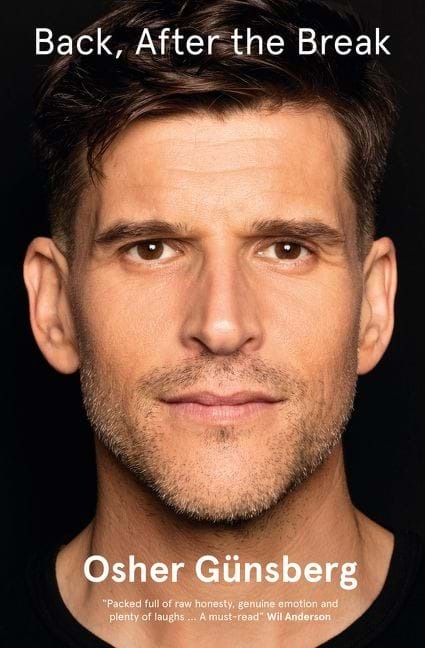 Want to meet THE Osher Günsberg and see his wonderful lock of hair in person? Then make sure you book your spot at his book launch & brunch event this Sunday, October 7 in Rockhampton! Osher will be launching his memoir, Back, After The Break at the Rocky Sports Club from 11am. For just $25 per person, you will get a buffet brunch and a copy of Osher's memoir. Here, you can hear Osher's story, have a chat, take a photo and get an autograph! Books will be on sale at the event. There will also be a live band following the book launch.